The Batswana have boneless chilled vacuum packed matured beef... but where does the money end up? Much has been made of the Occupy Toronto protests that continue to take place in St. James Park when Newcastle is not playing, but the media has not given equal coverage to the much more important protests which took over East York on Saturday night. While many of you are aware of the complaints against bankers who supposedly make 99% of the world’s money, it is less common to find people educated in the fact that 99% of the world’s prime cut steaks are stolen from the country they come from. Various governmental efforts to stop this organization have been unsuccessful, with this group of ethnic South Asians constantly smuggling their riches to India for slaughter and export. In fact, India, where cows are treated as sacred deities, exports approximately $34.7 billion worth of steak every year, which can only come from the vast amounts of rare meat smuggled in by the BMC. 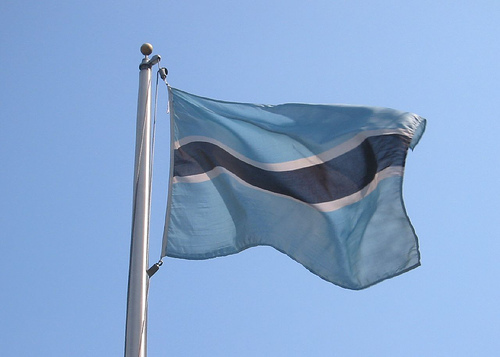 The protest against this blatant suppression of the Batswana, as Botswana’s citizens are known, was organized by naturalized resident of the country, Siphiwe Tshabalala. It was organized to coincide with BMC’s football match against the Sand Eagles, a collection of Mongolian outlaws, which occurred in the 404/Eglinton area on Saturday night. The organizer was able to call on Rafael Benitez, Indiana Jones, and the guy from the Old Spice Commercials, all of whom are international celebrities who have long spoken out against the BMC, and also Suheil Dhirani. They hope that the protest educates the general public about the plight of the Batswana, and it seems to have worked as a Hollywood portrayal of the conflict is in the works. Leonardo DiCaprio has been offered the role of the main protagonist, with the movie slated to be called “Blood Cows.” TIA. What a brilliant piece of investigative journalism.